Movado was founded in Switzerland in 1881 by Achille Ditesheim, and has become known for beautiful and functional watches. The Museum Watch, with the iconic single dot at the 12 o'clock point, has become the sign of Movado, and a Movado watch can be identified from afar because of the iconic dial. 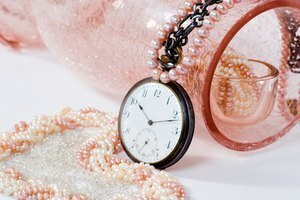 Opening the bracelet watch on a Movado is simple, as long as you understand what type of bracelet you are working with. Hold the face of the watch in your off hand, to allow easy access to the watch bracelet. Locate the two buttons on either side of the watch clasp. Pinch these buttons to release the clasp. Pull the deployment clasp away from the bracelet. This will open the bracelet and allow a wrist to fit into the bracelet. Place your fingernail in the small alcove under the fold-over clasp. Pull the clasp up to release the latch. Pull the deployment clasp away from the bracelet. 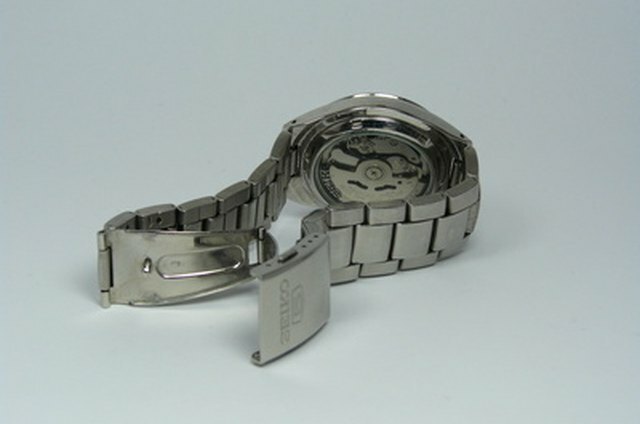 Some watches will require pinching two buttons on either side to release the clasp. Locate the hidden latch. It is usually the piece on the bracelet stamped with the Movado logo. Place your fingernail under this latch, and pull up to detach it. Lift the clasp away from the bar it is secured around to open the bracelet. Your local Movado dealer can help with watch function or stuck bracelets.